Anthony Frank "Tony" Rubino died on November 19, 2014 at the age of 66. A member of St. Patrick Knights of Columbus Council 10567 and Bishop Joseph A. Durick Fourth Degree Assembly 2399, Tony became a Knight on April 15, 2012 and became a Third Degree Knight on June 9, 2012. Tony was retired from the Marine Corps in May of 1975 as a corporal and expert marksman. He was a talented, extraordinary musician, vocalist and lover of music. He spent many years enjoying his favorite past time at the river fishing. Tony was a great entertainer, on stage and off. 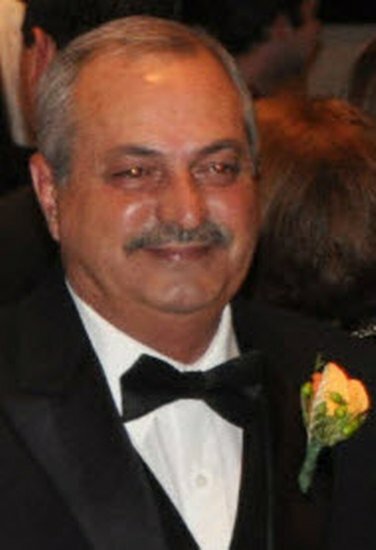 At the time of his death Tony was survived by his wife, Janet Accinno Rubino; his son, Clint Rubino; his daughter, Angela Rubino Wingard (Adam); grandson, Tanner Wingard; his mother, Mary Francis Bryan Rubino; sister, Connie Rubino Blankenship (Ernest). He was preceded in death by his father, Tony S. Rubino and brother, Rod Rubino. Editor's Note: We welcome any contributions to this page from any friends or family of our brother Knight Tony Rubino. If you were one of the many who celebrated the life of Mr. Rubino and you have any comments or stories about Tony that you would like to share, please e-mail Louis J. Muro. We also welcome any photos of Tony that you might have. To send an e-mail to Mr. Muro to submit comments, click here to go directly to his contact page.